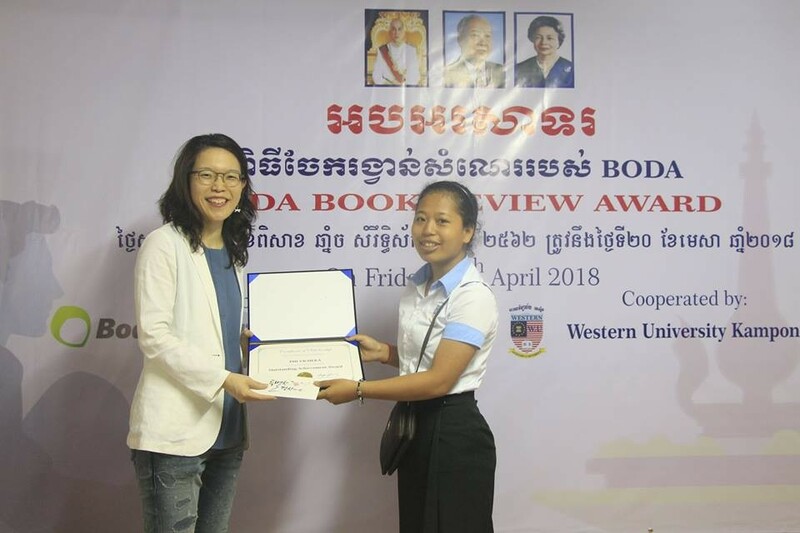 On 20 April 2018, KAPE's four of the six scholarship students, who registered to compete with other 40 respective students, got rewarded from BODA Book Review competition which was supported by BODA Initiative. 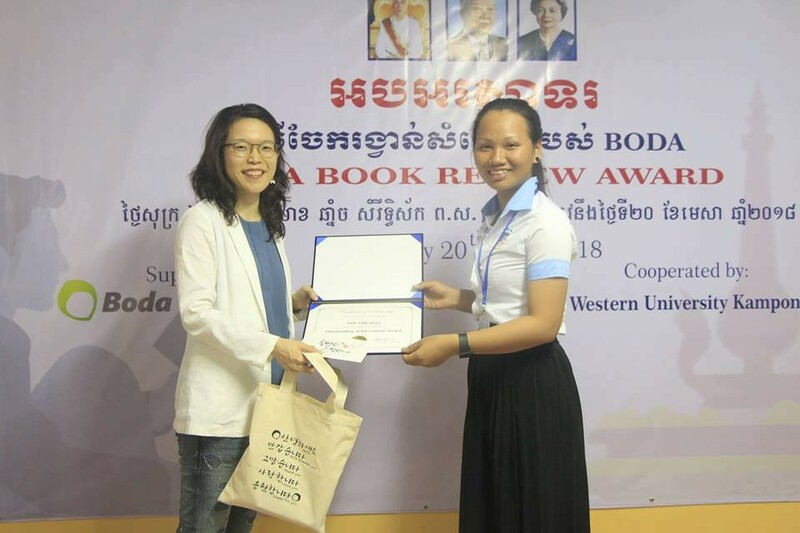 This program was organized at Western University in Kampong Cham city. 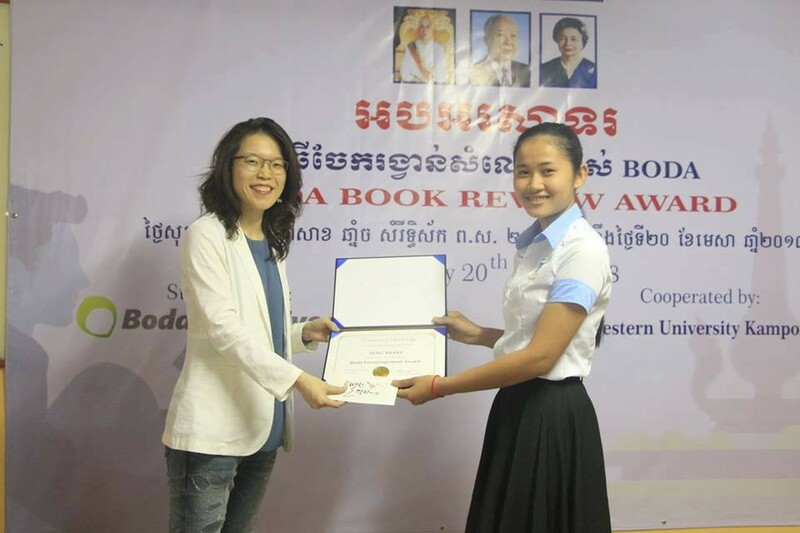 KAPE's four scholarship students included Miss Phon Sopheak Rath, Miss Phy Vicheka, Miss Tol Cheavey and Miss Seng Phanny. Six of KAPE's scholarship students had registered to compete book reviewing in the BODA Book Rewiew but four of them got rewarded. This program aimed to strengthen the reading habits of books by reviewing after they finish reading a book. 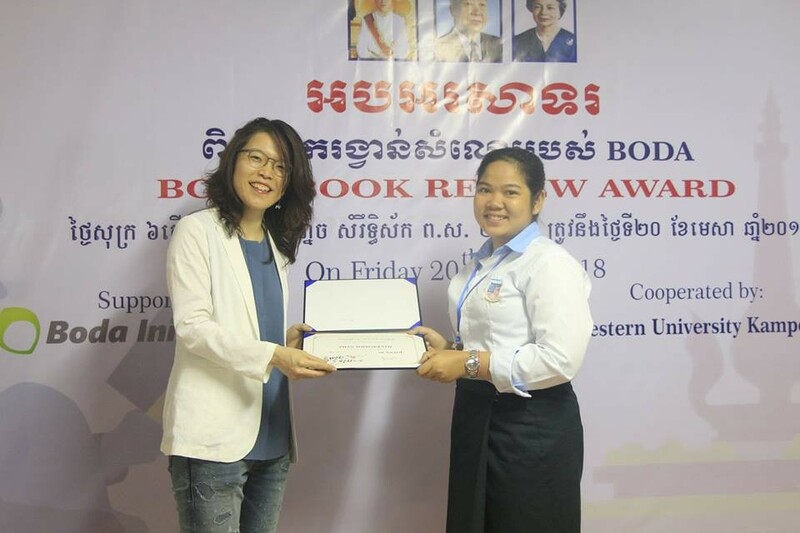 KAPE appreciated and endeavoured of its schoarship students' winning even if they did not pass at all but it is a good attention to take part in improving the reading in Cambodia especially the young youths who are still in the educational stages to develop knowledge, skills and livelihoods with right education, quality of education and producing opportunities for them to present their abilities both in their university and graduation period. 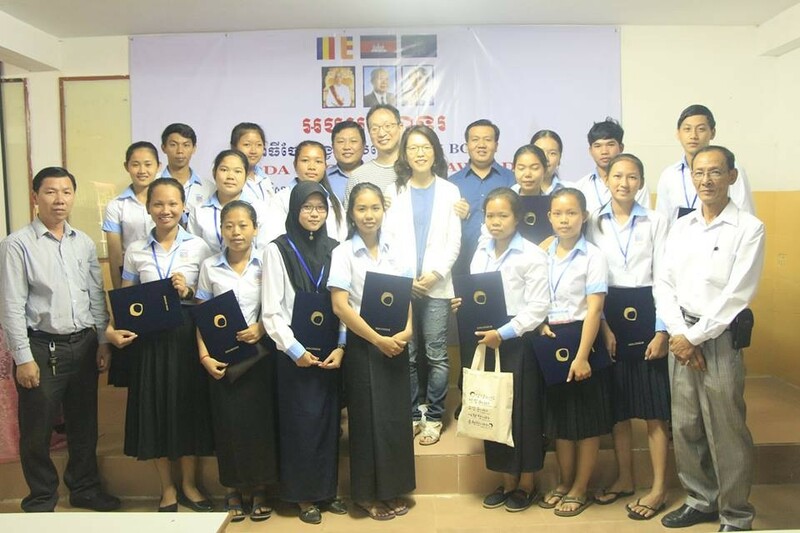 Inconclusion, creating competitive programs for Cambodian youths is jointly improving the education in Cambodia effectively. KAPE admired its scholarship students to attend more competition events to reflect what you have learned to be scaled for the next stages of upgrading their abilities.